Firstly, the continued low inventory levels left many potential homebuyers with less choice than in previous years. The shortage of inventory in the rental market, however, enabled the condominium market to recover as first-time buyers looked to purchase apartments instead of continuing to rent. Secondly, the introduction of the mortgage stress test last year affected many buyers, especially those looking to purchase their first home. The stress test, a policy introduced by the government to help cool the two major Canadian real estate markets, dissuaded current homeowners to ‘move-up’ and thus prevented entry-level properties from coming on the market. Members of the Ottawa Real Estate Board sold 663 residential properties in December 2018. There were 471 sales in the residential property class (a drop of 15.7 per cent from a year ago) with an average sale price of $453,011. December saw 192 sales in the condominium property class (a decrease of 6.8 per cent from the previous year) with an average sale price of $278,295. The $300,000 to $449,999 range remains the most active price point in the residential market, accounting for 45 per cent of home sales. The most active price point in the condominium market is between $175,000 to $274,999, accounting for 55.7 per cent of the units sold. 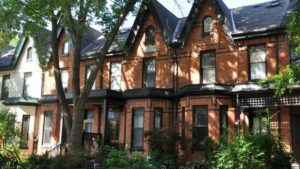 Year-end figures show an average sale price of $446,661 for residential-class properties in 2018 (a 5.1 per cent increase from 2017) and $278,316 for condominium properties (up 3.2 per cent from last year). As we look ahead to 2019, we can expect to see home prices continue to rise as limited supply and increased demand continue to be an issue. Buyers may have to look further than Ottawa’s central core for affordable options, or pay the premium. New builds and new purpose-built rental properties could help to ease some of the pressure and encourage movement within the existing market. If you are looking to sell this year, now is a great time to put your home on the market. If you are seeking any kind of support in listing your home, purchasing a new home, or in learning more about how the current change in mortgage regulations could affect you, please contact our team and we’ll be thrilled to help you out.